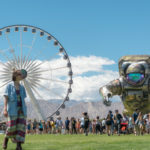 For the first time ever, Aphex Twin will stream live from his set at Field Day in London this coming weekend. 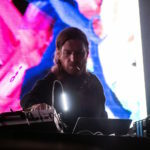 Following some mysterious teasers, NTS Radio and the producer will be testing out a new collaboration by live-streaming Aphex Twin’s entire performance. The stream will be an audiovisual experience with visuals stemming from Weirdcore. According to a press release, the experience will be that of a “bespoke online visual immersion.” If the teaser webpage is any indication, the event’s stream will be an unmissable digital happening.